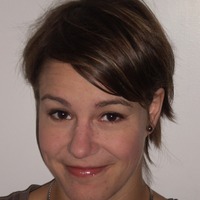 Cyrielle Champion is a member of the Swiss team involved in the INSPIRES project. Currently, she is a research assistant and PhD candidate at the Swiss Graduate School for Public Administration (IDHEAP), Lausanne, Switzerland, but plans to finish her PhD on integrated approaches to social and employment policies in September 2013. Over the last few years, she participated in several evaluations of Swiss Cantonal labour market programmes and published several articles and chapters on unemployment and labour market policies. In the framework of the INSPIRES project, Cyrielle is going to devote much of her time to analysing learning and diffusion processes of innovative practices in labour market policy.